Unit 4 + 2 was put together by Brian Parker, in 1962, as a close harmony group. The line-up was Brian Parker (1940 - 2001) (guitar), David 'Buster' Meikle (guitar), Tommy Moeller (lead singer) and brother of Billy Moeller aka Whistling Jack Smith), and Peter Moules (bass), The group were called Unit 4 but when the quartet grew to a sextet, with the addition of by Russ Ballard (guitar) and Robert 'Bob' Henrit (drums), they became Unit 4 +2. Brian Parker left the band, but stayed involved as co-songwriter with Tommy Moeller for all of the band's original recordings. Howard 'Lem' Lubin (Christie) replaced Brian for live performances. Other line-up changes followed before they released their first single on Decca Records. "The Green Fields" which reached # 48 in the UK in 1964, but the follow up single, "Sorrow and Pain" was less successful. In 1965, their single "Concrete and Clay" was written by Tommy Moeller and Brian Parker and became an International hit. Success was thought by many to be due to the exposure given to it on pirate radio stations, most notably, Wonderful Radio London. The song was recorded using session musicians Russ Ballard and Bob Henrit (who had played with the Roulettes). The next single release, "(You've) Never Been in Love Like This Before", reached the Top 20 in the UK, and No.95 on the Billboard Hot 100 in America. Between 1964 and 1967 Unit 4 + 2, released 10 singles on Decca but had no further chart success after 1966, with "Baby Never Say Goodbye. " The addition of Russ Ballard (Roulettes), Rodney 'Humble' Garwood (bass guitar) and Bob Henrit (drummer) in 1967 helped the sound of the band but by this time their music was dated. 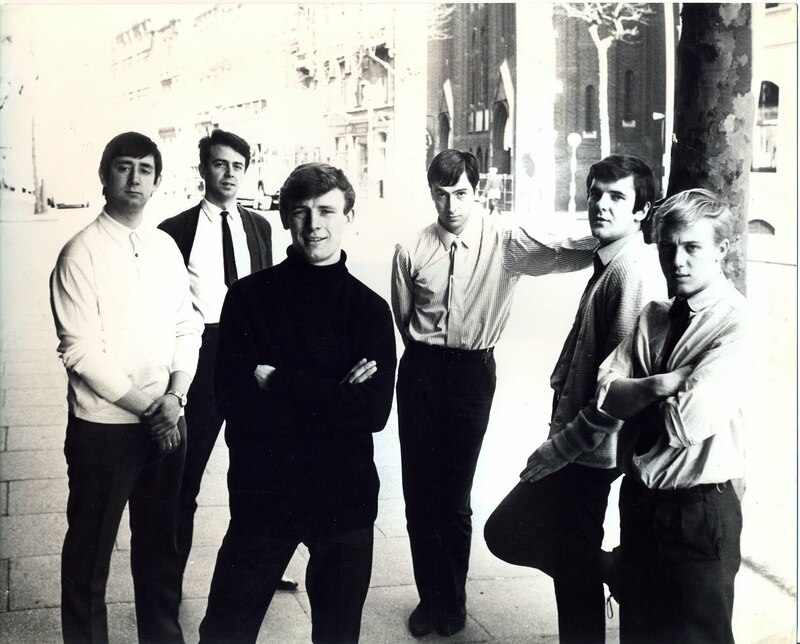 The group switched to Fontana label and carried on releasing singles up to 1969, before they disbanded in 1970. Russ Ballard joined Argent as their lead singer and guitarist, along with Bob Henrit, as drummer. Ballard features as the vocalist on Argent's smash "Hold Your Head Up" (1972) and wrote "God Gave Rock and Roll to You" (1973) as well as "I Don't Believe in Miracles", sung by Colin Blunstone (1972). Ballard left Argent in 1974 and pursued a solo and songwriting career. Ballard became a prolific song writer and penned hits like “So you win again” (Hot Chocolate 1977), "Since you been gone" and “I surrender” (Rainbow 1979: 1981) and Three Dog Night's "Liar" (1971). Russ Ballard wrote and performed on Roger Daltrey's first two solo albums, Daltrey (1973) and Ride a Rock Horse (1975). He also toured with Roger Daltrey in 1985. He wrote several songs for the movie McVicar (1980). More hits followed including "You Can Do Magic" (1982) for America . In the same year he penned hits for Anni-Frid Lyngstad with "I Know There's Something Going On", and Agnetha Fältskog’s "Can't Shake Loose. " The celebrated songwriter, singer and now talent agent continues to perform and work. user can understand it. So that's why this article is great.